Post subject: Show us your E-Series Offset WHEELS !!!! Post up pics, or even names of rims that come in eseries offset, and dont cost a fortune !! Last edited by FordFairmont on Sat Sep 11, 2010 9:31 pm, edited 2 times in total. I have advanti volts in 17x8. 18X8 GOT THEM ABOUT A YEAR AND A HALF AGO COST $1400 WITH TYRES. Hehe no offense but if you check the for sale section you'll see he's actually selling a set of those. But they do look damn decent even tempting me to ditch the stockies. thanks for the ideas, im hoping we can get alot more in here as it would help others deciding on rims on a 'semi' budget. I think $1100 without tyres should be enough to get half decent rims !! I'll add another rim i had which i liked alot, 17" ROH RT's in shadow chrome, but f**k they weighed a tonne !! 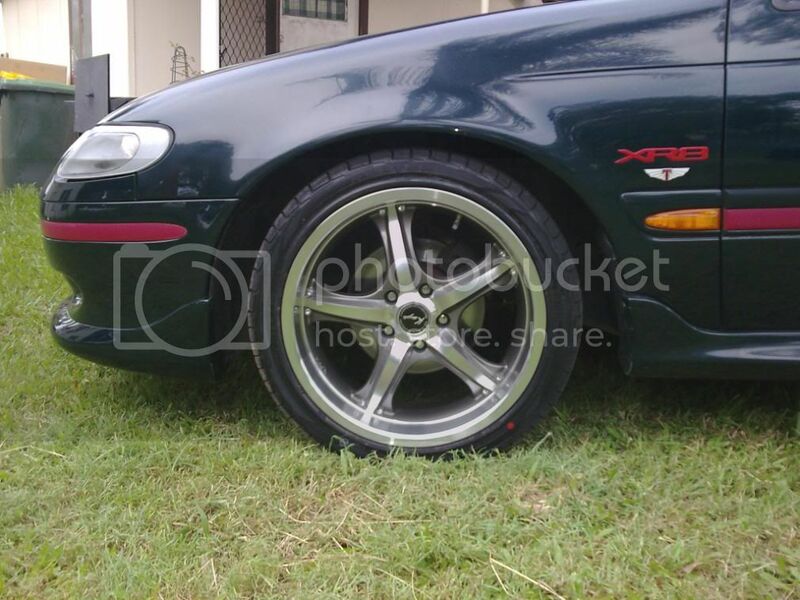 Also these have got me interested, 18" Apec Apache wheel/tyre package $1400 !! The Apache rims look very nice indeed and at a very good price. My wheels are a quality Ford design, in a whopping 15 x 6 inch!! And you'll get a set with new tires for around $400. 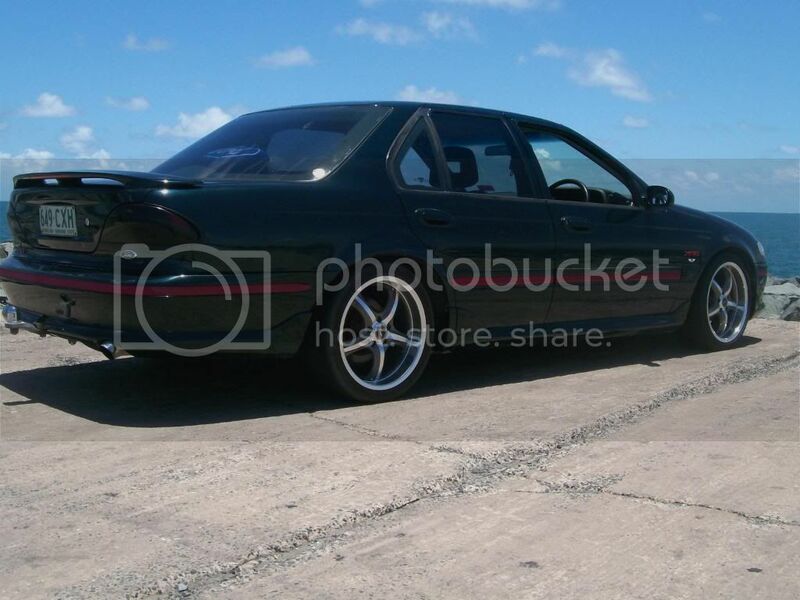 Seriously though, those apache wheels look pretty hot on E series, especially in your colour Dan, do it. 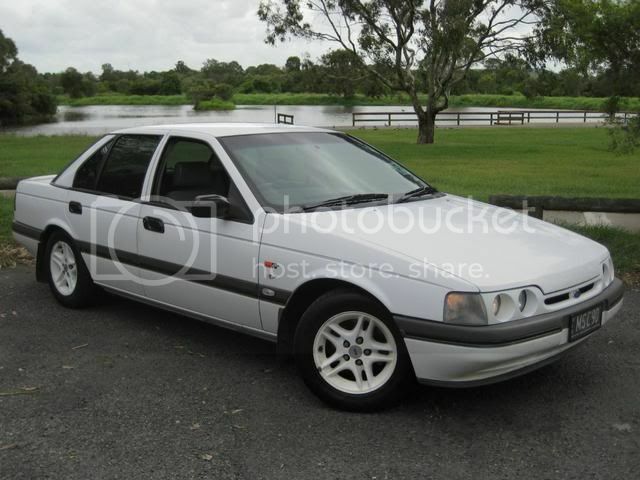 Yer im keen on getting some cobra rims with the black or white....hmm , pre au 19" $999. Will 19's foul the gaurds on e series? 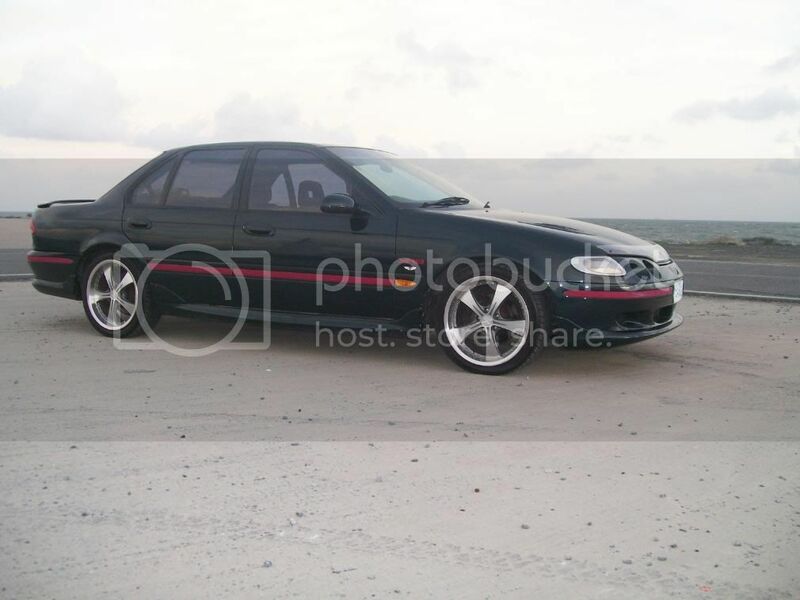 Its listed as pre-au fitment on a website, but will confirm with them as ive never seen these on early fords? I've seen them (or very very similar) on a E, so they must come in a E offset. Seen them on a few local utes and even few holdens but not on an e series. If they say they come in e series offset then your chances are high, good price for a decent rim.